1. 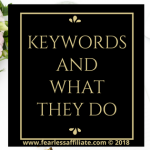 Alphabet Soup– Type a niche keyword into the Google search bar, and then type each letter of the alphabet in succession looking at what Google offers as suggestions. For example, type in “puppy” and then “a” to see results like these in the screenshot. Then switch out the “a” for “b” and then “c” and so on to get many, many great ideas. Google is very helpful. 2. Update an older post– Do you have posts with a previous year in the title? Consider updating! And especially if a lot of information has changed. For example, if you did a review of a really nice chef’s knife and now the price has dropped. Update your post to reflect the change(s) and why it is still a great tool. 3. Have a contest– And give your readers a shot at a fun prize, like an e-book that you just finished creating or if your niche sells items, perhaps a small item that you created. Do this in conjunction with your social media. 4. Book Review– Have you been inspired by an author? How did this impact your life? Share this with others and give them a reason to read that book as well. 5. Infographics– Take some of your amazing content and put it in an easy to follow infographic for your new readers. You may have written this as a blog post previously, but now make a nice visual. This also makes a great free giveaway item. 6. Roundups– You can do this at the end of the year or end of the season or end of…? These are countdowns of the best of the best of your content such as “5 best lawnmowers of 2017” or “My top 10 Money Saving Ideas from 2017”. You get the idea. 7. Competitor Review– If you keep up with what is new in your niche, there is usually something to review. What about the competition? Are they offering less than stellar information? How about a product that goes with your niche, like hosting or email service providers? Or why you switched? Or why you won’t switch? 8. Write a sequel post– Go back through your earlier posts. Anything missing? You can write another post with some new information. 9. Write a post for a fringe section of your niche– There are always people visiting our blogs who got there because your niche is part of what they are looking for. For example, your blog is about training puppies. What about those who have a puppy that is getting older and so is not quite a puppy and not quite full grown? Do you have any content for them? 10. Check your blog comments– There is a goldmine in there! Do you have any unanswered questions? Anything you can explore further? 11. 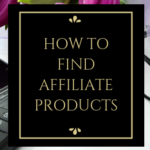 Provide a buying guide– Especially if you do reviews of products. Tell your readers how to shop for stuff that they need. What to look for…what to avoid. If given a choice then choose this over that. 12. Inspire – Write an inspirational or motivational post on what gives you strength to do what you do every day. 13. What you wish you had done differently when you started…? Wish you had done things in a different order? Wish you had never done something? Posts like these are a great way to humanize yourself to your readers. 14. How to research– How did you find information that you needed for a blog post? What information did you have that helped you reach the conclusion that x is better than y? Research can be a challenge for people who do not have to do it very often. What are your tips? 15. Trends– Comment on the latest trends in your niche, or anything related to it. 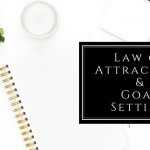 Will new legislation impact something in your niche? Is a new trend going to make blogging easier for you? 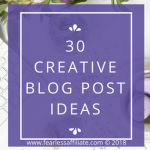 Have you tried these blog post ideas? 16. 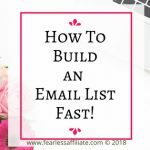 Create a resource list– You can repurpose this later at a free giveaway to your email list. 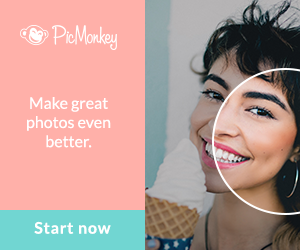 Post all the great tools that you use for your website. 17. Share your goals– What you are going to achieve this year and how you plan on getting it? How do you set goals? And track them? Do you update them? 18. 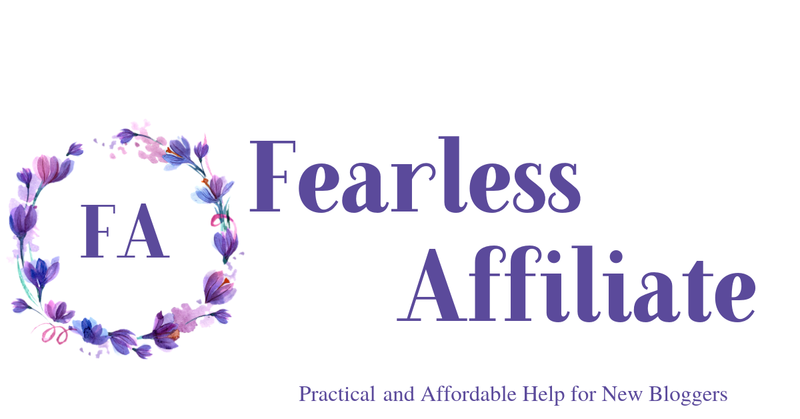 Invite readers to guest post– Are they are authority’s on some aspect of your niche? Bring them in to write something for your website. 19. FAQ list– People who are new to the niche may be interested in knowing some of the basics about a subject. 20. Why did you start your website? What motivated you to choose this way of helping people? Did someone inspire you? Were you going to blog about something else? Have you written a post like these ones? 21. Write a response post– Did someone in your niche write something that angered you? Motivated you? Scared you? Write about it! 22. Ask readers for advice– This is bound to get some interesting responses, so go for it! 25. Write about writing– Is it hard? How did you overcome your fear of writing? What is the best part of writing? 26. Do a poll– This tent vs that tent. This time of year to plant lettuce vs waiting. Niche specific polls can really help you understand what interests your readers. 27. Post some of the skills you have acquired since you started your website– I actually have seen people who got job offers because of their skills in blogging with WordPress. Ya never know! 29. Share something unrelated to your niche– And how it gave you inspiration for your niche. Like your day at the beach inspired you to help out with a group of people who pick up garbage at the beach and that is how you met someone who introduced you to a mastermind group. 30. Ask your readers for feedback on your website and writing– Yes, this could be scary. But it could also have a lot of valuable information in it. Well how was that? Do you feel inspired? Are you having a massive brainstorm of ideas? How do you get inspiration for blog post ideas? What motivates you to push through when you do not feel like writing? This is the list that I go to when I need an idea or two. I usually keep a list like this on my desktop, with my list of posting topics. It is good to know that no matter what kind of week you are having, that ideas are there for the taking! If you enjoyed this post, please share it with others. And sign up for my weekly newsletter of blogging tips and freebies. Have an awesome week and happy blogging! 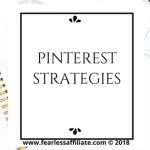 If you would like to pin this post, just click it to be taken to my Pinterest! And thank you for visiting us today JR! 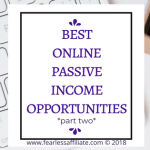 Awesome tips to get anyone started with affiliate marketing! I can even use some of these, which I think will help improve my writing by an enormous amount! Thanks Jeremy and thank you for visiting today! I will resort to some of those ideas when I am stuck on post ideas. Hi Dinh and thank you for visiting! I have had to come to my list several times to get motivated for something “new”, so I decided to post it for others. 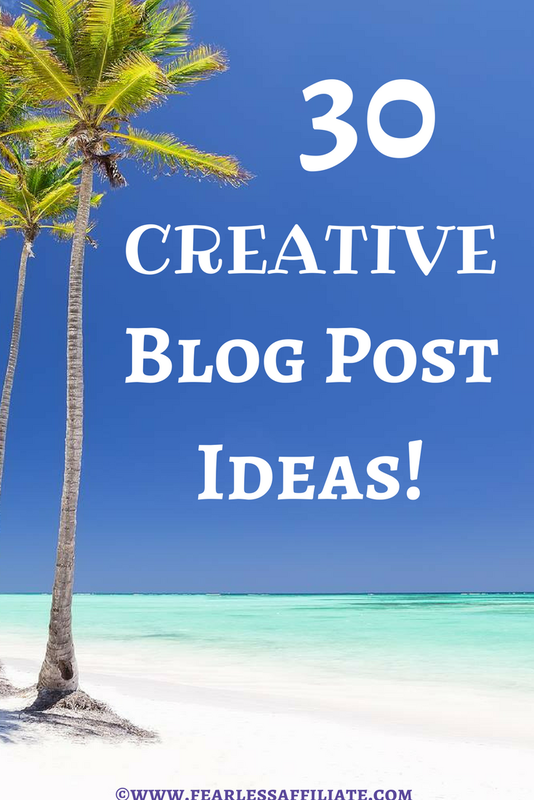 Thanks for your creative blog post ideas! The alphabet soup is a fun way to get new ideas! I will have to do that more and try out some of your other suggestions. Hi Sandra and thank you for visiting! Alphabet soup is my favorite, which is why it is first on the list. I get so many cool post ideas from that technique! I love this post! 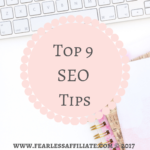 I am currently stuck on what post to write next on my site and this is really helpful for me to find some new ideas! Thank you so much! This was a wonderful read. Anyone in any niche can use this to their advantage. There is a lot more to write about than most people realize. 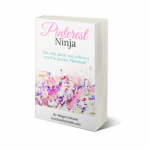 You can write a buyer’s guide or even an inspiration post. I especially enjoyed your suggestion of writing about trends in your niche. I am in the outdoor recreation niche and there are more trends than people realize. When writing posts about trends, do you have any advice for those particular kind of posts? I look forward to hearing your answer. Hi Alex and thank you for visiting today! I actually lean towards getting the Google Trends emails, which are not really specific towards certain niches, but are more about trends in general. It might be a good resource for you to see where Google thinks the next fun “hot spot” might be. Then you can create your post on what kind of gear you think a person might need for that place. And especially if there is a big anniversary coming up for a specific place or region, like Yosemite or Redwood Forest. For example, right now if you type “camping” into the search bar of Google Trends, it pops up with Netherlands first. That is because the people most interested in camping right now seem to be from Europe! This can present you with ideas for a post about camping gear for specific climates. Or what to take with you when going camping in another country, or even across your own country. The USA is right next to Canada (north) and Mexico (south), which both require different types of gear. I love Google Trends just for brainstorming! 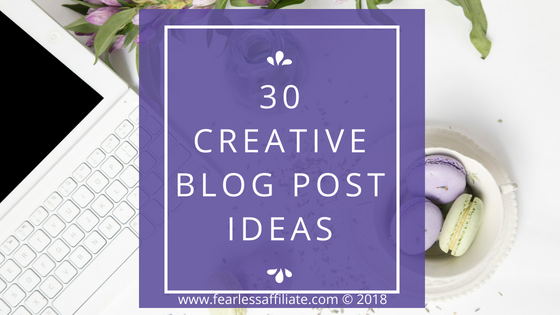 Great list and I will use some of the ideas. Why didn’t I think of that? I like the way you suggest re-using some of your own content and past ideas. To update them and spur new traffic. 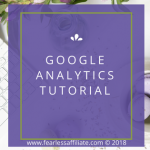 I am constantly looking back at my post that are getting ranked by Google and building on those platforms. I never considered dong a poll, great idea and can be used to generate other ideas..
Hello Donald and thank you for visiting us today! And I am glad that you enjoyed my post. I have had to go back to my list several times to generate ideas when I am just not “feeling it”.